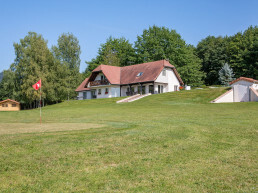 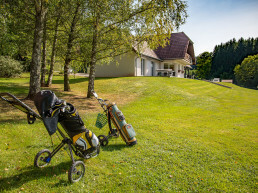 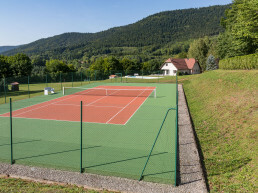 The extensive sport facilities on the estate, consist of a heated swimming pool, a hard tennis court, a 3-hole golf course, air gun shooting practice and horseback riding on the adjacent land. 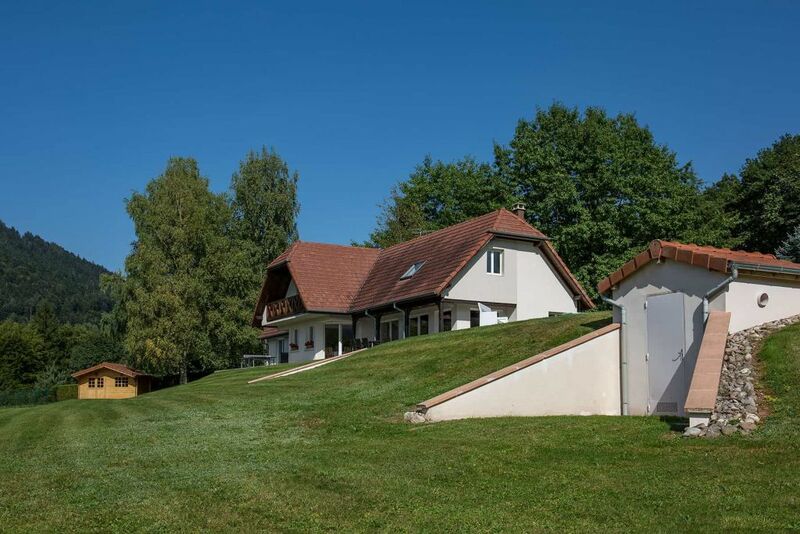 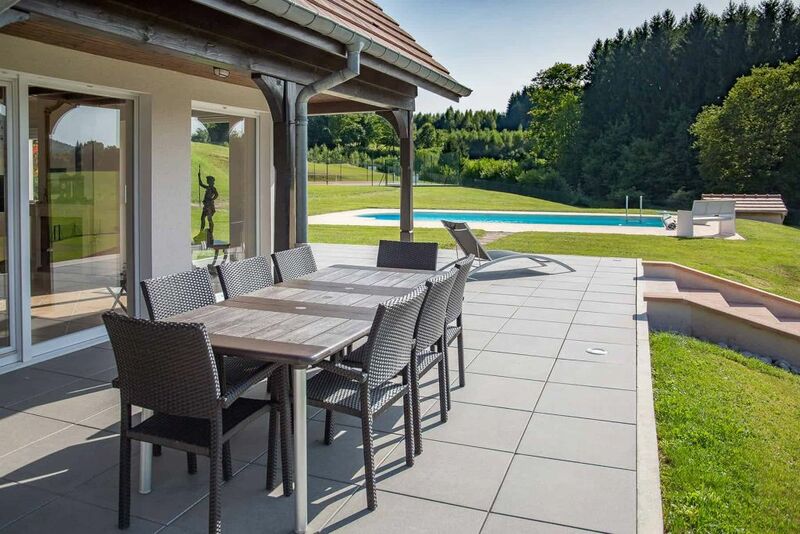 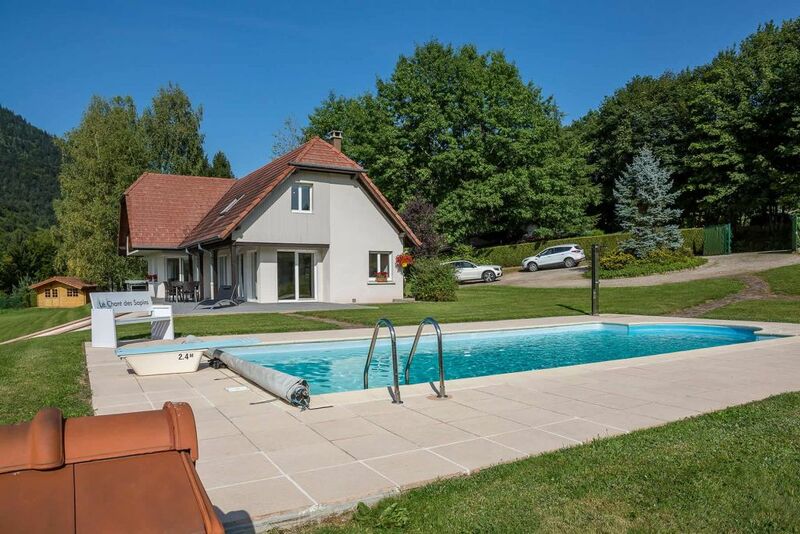 To the side of the house you will find the heated swimming pool with robot and solar shower with hot and cold water. 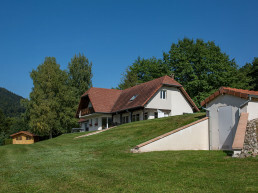 The machine room is located next to the swimming pool housing, the sand filter, the pumps and the water heating unit. 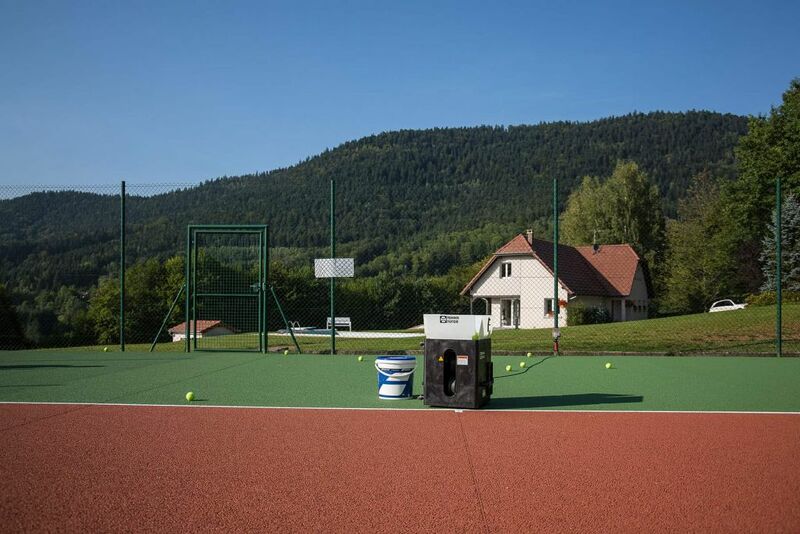 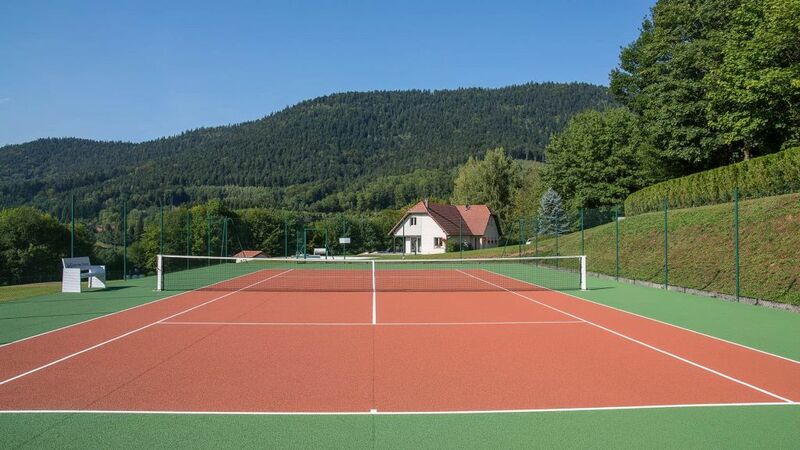 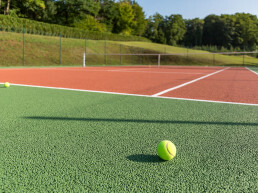 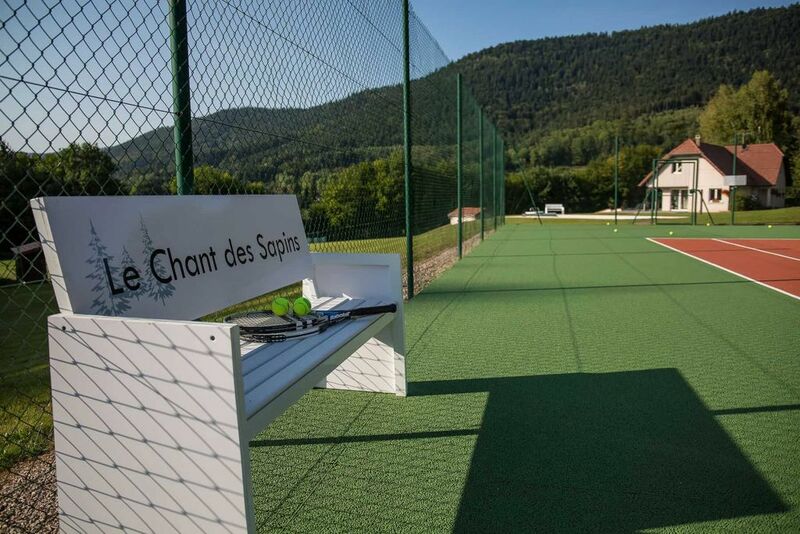 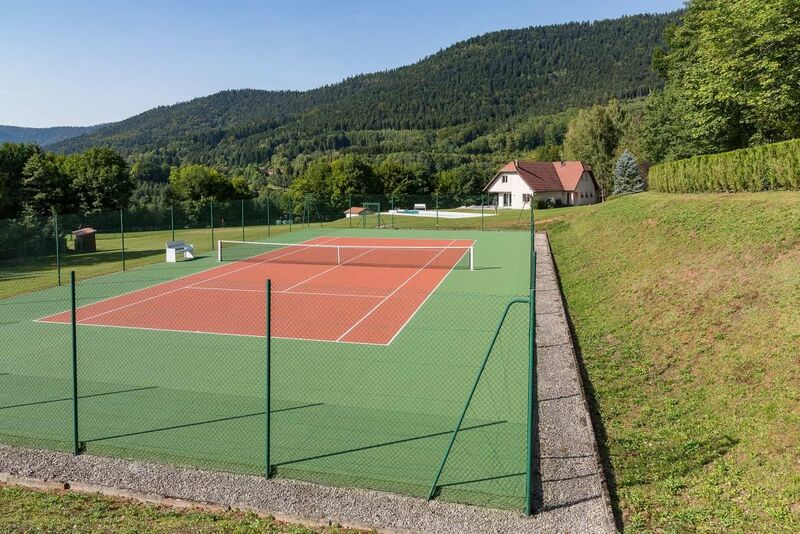 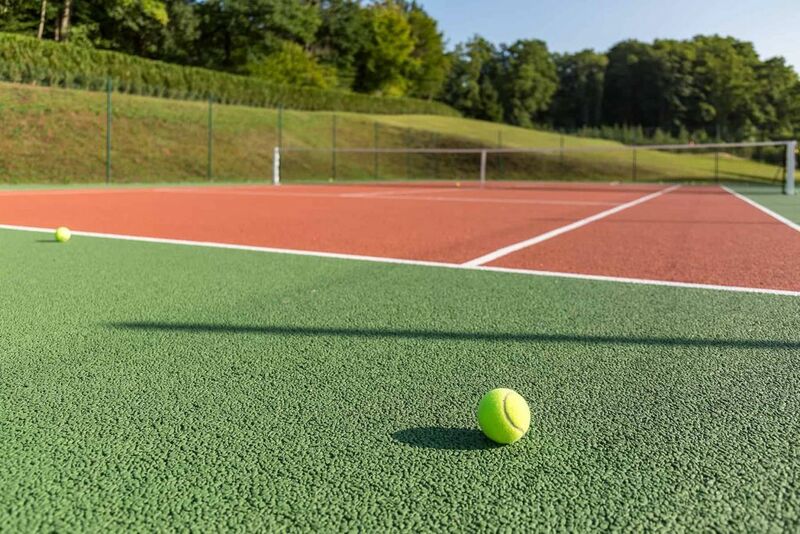 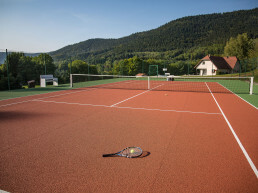 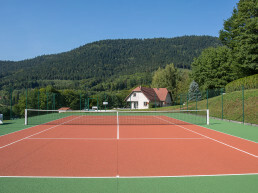 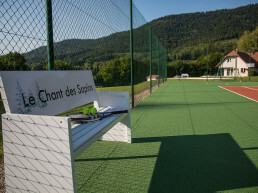 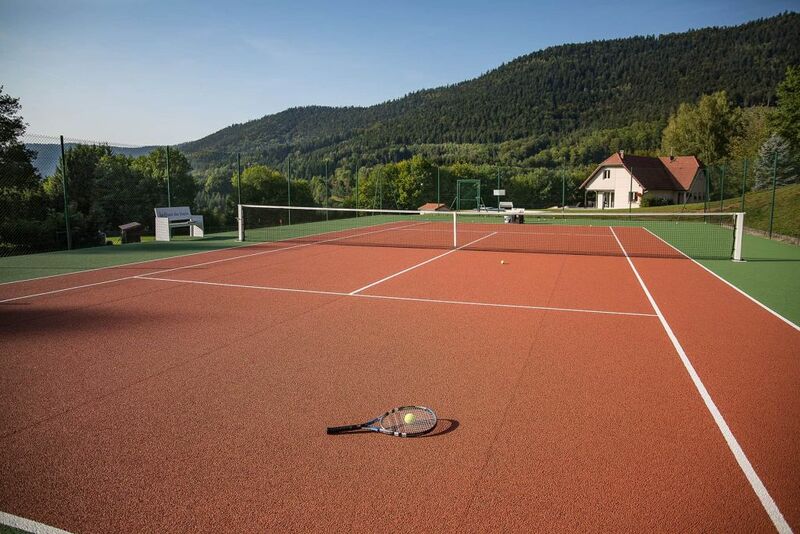 The brand new hard tennis court was built in 2016 by the reputable Strasbourg-based company “Co-Tennis”. 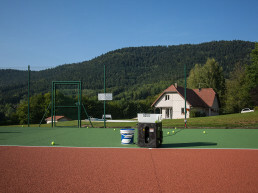 The tennis ball canon can be plugged in at the near end. 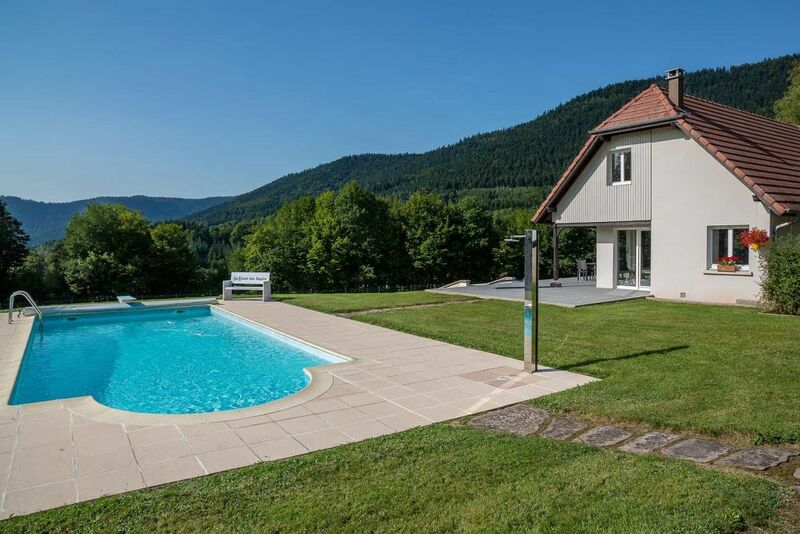 The view of the surrounding mountains at the far end is truly magnificent. 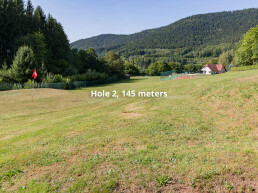 The three-hole golf course complete with sand bunkers was designed and built by St. 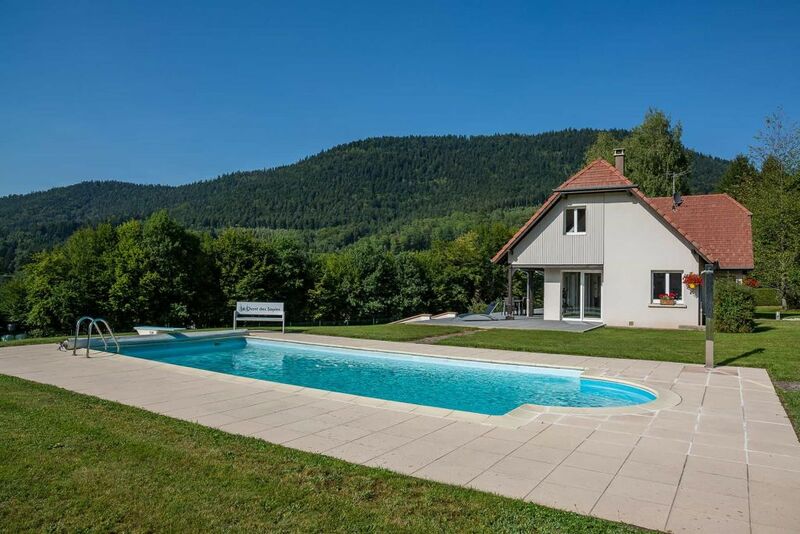 Die based company Baradel. 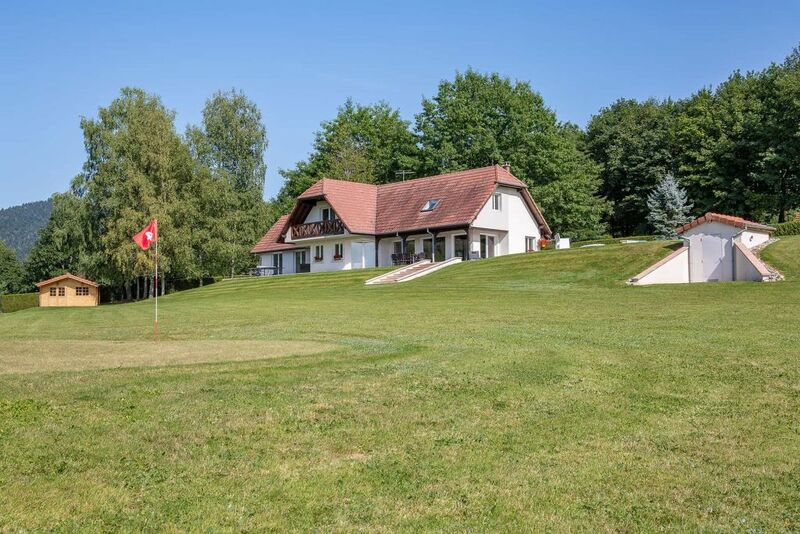 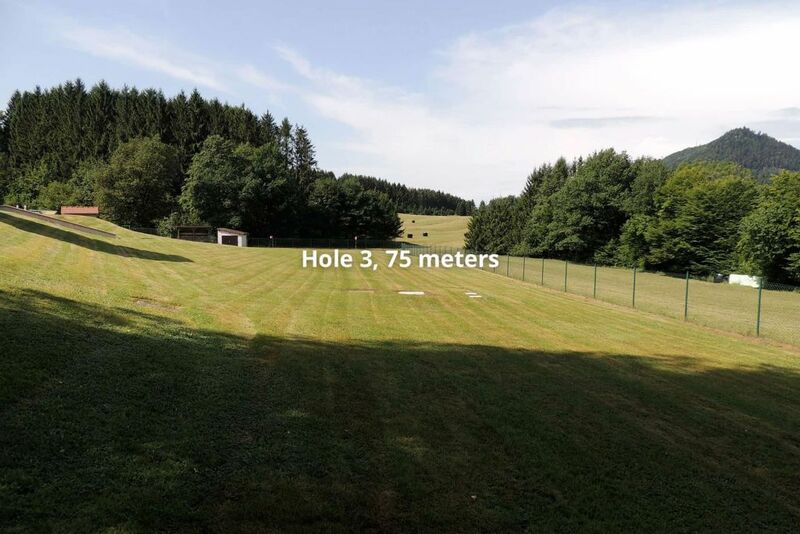 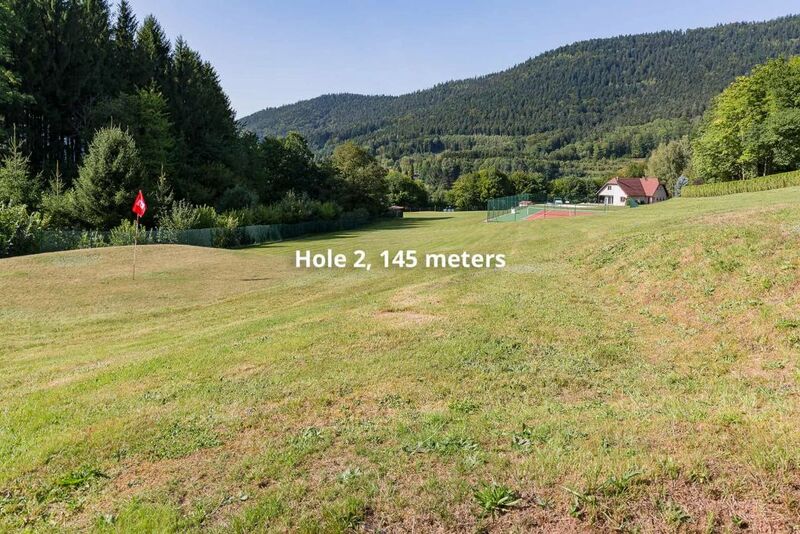 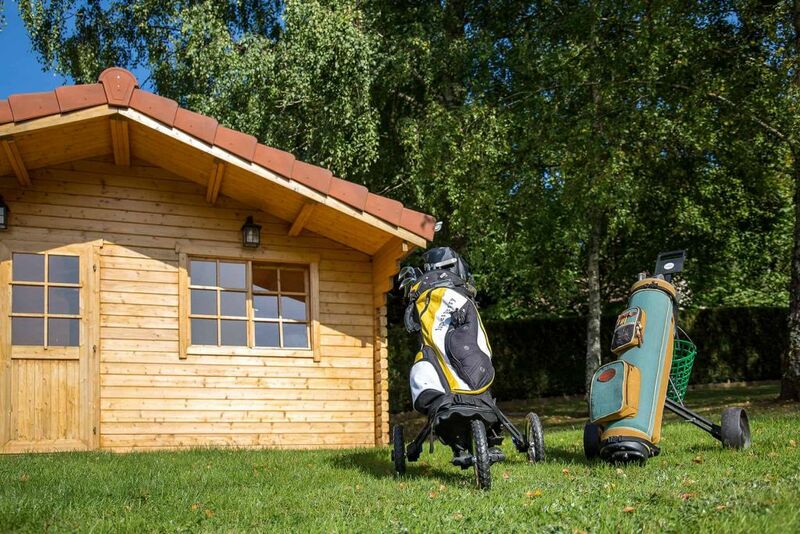 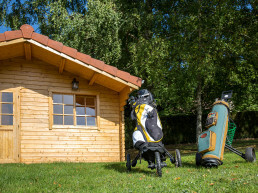 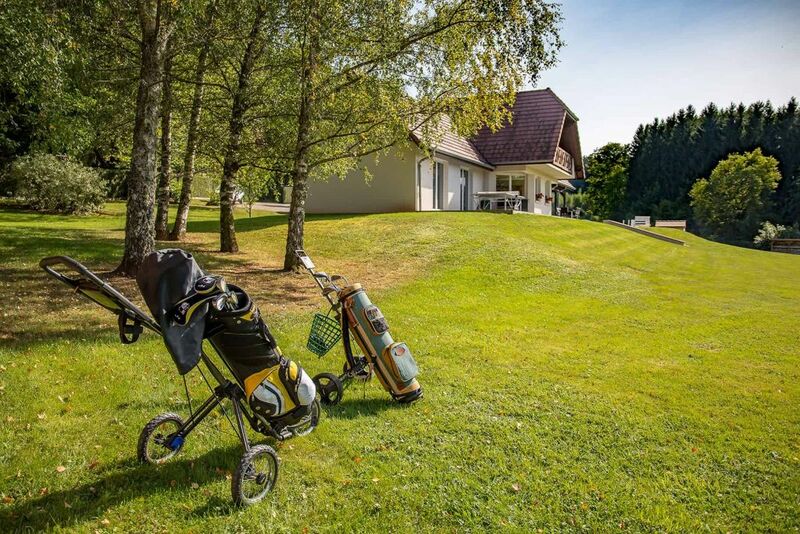 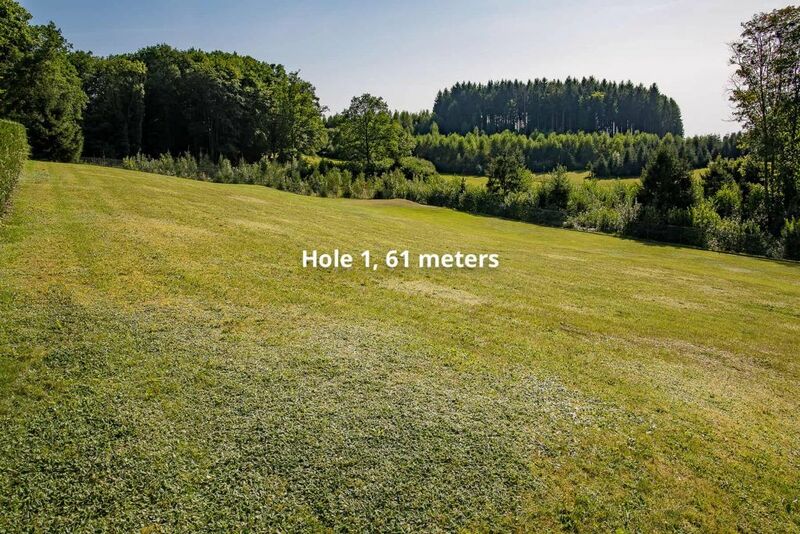 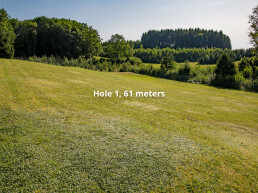 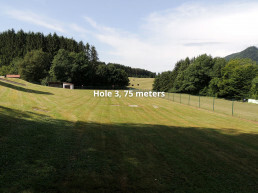 Holes 1 and 3 (respectively 61 and 75 meters) enable you to practice your pitch and put, while the reasonably challenging 2nd hole, with its narrow middle fairway (145 m), enables you to take out your wood clubs!